We at Oakwood Dental Arts are aware that dental work is not necessarily covered by all insurance plans and when it is covered, the policy may not cover the full amount of your cost, so we offer our patients another option, we honor CareCredit. Use your CareCredit card in our office to pay for your general dentistry treatments, as well as cosmetic procedures. CareCredit also covers your regular checkups, so that you can afford the privilege of preventative dentistry without having to wait for approval. Unlike some dental insurance plans, CareCredit financing is available not only for the card holder, but also for the other members of his family, so that everyone can take advantage of the services we offer at Oakwood. A parent can have a necessary root canal performed by one of our oral surgeons, while his pre-teenager consults with an orthodontist on the same day, and both services will be accepted by CareCredit. That’s due to the versatility of the plan, it covers everything from a whitening treatment to periodontal surgery. The feedback that we have received from our patients about CareCredit has been so positive, due in part to the convenience of their payment plans. A CareCredit card carrier can choose to make monthly payments, or pay off the entire balance at any time. We rely on our Oakwood Dental Arts patients to tell us about our performance on all counts, including their opinions about our financing arrangements. We hear nothing but good things about CareCredit, including the customer services that they offer, and how easy it is to connect with them. They have also mentioned to us that they appreciate the promotional plans that CareCredit offers, on a regular basis. 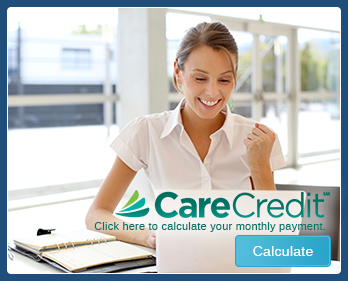 We applaud CareCredit for making it so easy for our clients to apply for a card. they can provide their basic information, name, address, ssn, etc. over the phone, or online. We like that they are given that choice, since many of our patients still prefer to talk to a real person about financial matters, and others conduct all their business via the internet. When we looked at CareCredit to be the provider of the financing plan for Oakwood, we found that they are truly concerned with customer security. They provide detailed instructions about what to do if a card is a lost, or stolen, and if fraud, or identity theft is suspected. If you have other questions about our CareCredit financing plan, please contact the Oakwood Dental Arts offices in Freehold, N.J. Phone 732-414-2683.